Welcome to the Digital Age; where having a creative and professional web design is your key marketing strategy! First of all, responsive, easy to navigate and mobile optimized sites are a must in your marketing efforts. In addition, it could be the determining factor when your clients are choosing who they want to work with. A website is the first thing your potential customer will see. As a result, your website is your first impression. Therefore, having a poor load time could cost you. There are several major puzzle pieces that are crucial for a successful website. 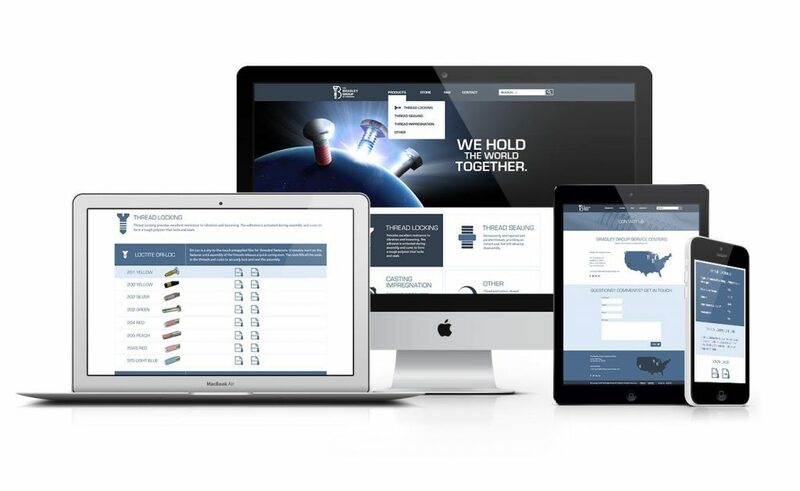 With Bradley Group, implementing a mobile optimized site was at the top of the list. Especially relevant, mobile-friendly sites are a staple in today’s digital age. Fast load times, easy navigation and responsive website designs are some of the key factors that will determine if you lock-down a potential client. Here at Epic, we are seasoned in this department. Building and designing dozens of websites has allowed us to present creative, innovative and professional sites that our clients love. For over 30 years, the Bradley Group has been holding the world together and we wanted to create a website to match.